Measurements below are a general guideline for printing on most Poly Bags. Since there is no handle on these bags, print can easily extend to cover most of the bag. 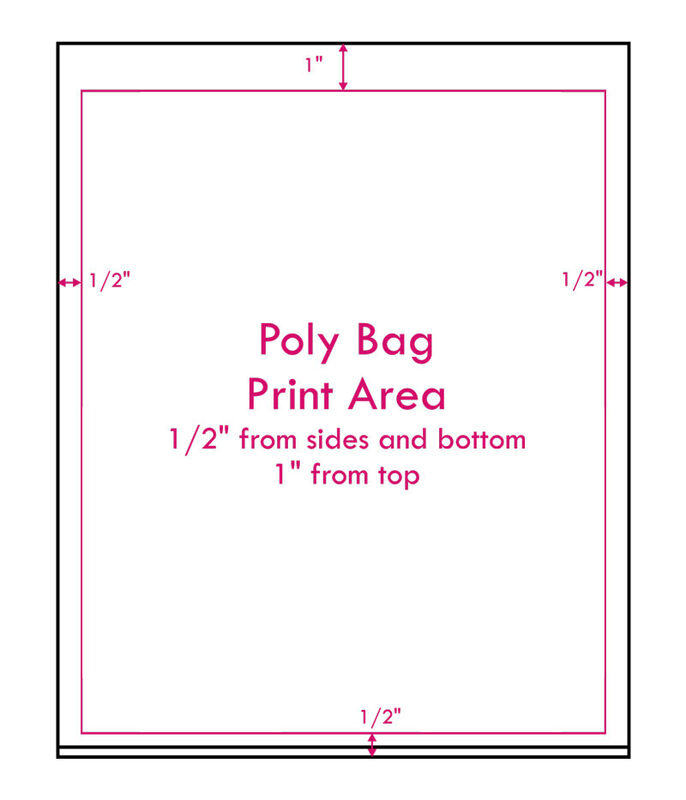 To calculate print area, subtract these measurements from the bag size you are ordering. This template can also be used for Produce Bags and other Bags on Rolls.